Formerly known as Gingerdead Man. 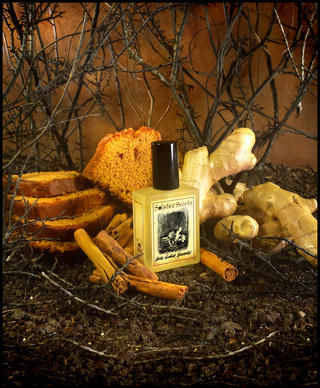 Gingerbread Cookies crash into a dark earthy corruption of patchouli and vetiver, accented by cedar wood. A smooth amber accord softens the edges and ties the gingerbread and dirty earth notes together. A few drops of candied vanillic benzoin, molasses and warm ginger emerge with the earthy notes and amber on the dry down. This perfume opens with a bold spicy gingerbread with a cinnamon bark overtone. There is a great deal of vetiver and smooth aged patchouli lurking just beneath but you'll also detect a light woodsy cedar. These notes serve to temper the sweetness and add dark and mysterious depth. The spicy elements of the gingerbread do lessen as this perfume wears and the base notes begin to take over about 45 minutes to an hour in. At this point, the molasses in the gingerbread will start to come forward rather than the spicier aspects and the longer this wears, the more dominant the vetiver and patchouli become. Overtime, the gingerbread transforms closer to a molasses-heavy iced ginger snap cookie without cinnamon. This is perfect for those who like foodie blends a bit darker. I love this scent! It's like gingerbread gets a bit drunk and goes out at night. You have the warmth of the gingerbread,but the sweetness is toned down with vetivier and musk. It is deep and sensual and absolutely intoxicating. This is one of my top favs, and my fav for winter, along with RC and M. THis is gingerbread getting a bit naughty! I liked this scent well enough, but wound up swapping it away because I prefer Jack & The Devil for a spicy, foodie scent with dark & earthy undertones. I don't really pick up on the vetiver and patchouli in this. Gingerdead Man smelled like gingerbread spice, something slightly maple syrupy on my skin, and a perfumey musk. It actually wasn't quite dark enough for me. Still, a nice gingerbread scent. Thumbs up for this great Winter spicy scent! The patchouli, vetiver, and musk *really* temper the sweetness of the gingerbread cookie note. It's actually a very light scent in the container, and when in use, I primarily smell the vetiver, then the patchouli, and then there's a teeny-tiny amount of gingerbread cookie lingering in the background. I was intrigued by this foody/woodsy combo when the Winter Collection was released, but it doesn't really work for me. Angela also generously included a perfume sample in this same scent, and I do like this more than the whipped soap; I'm actually able to smell the lovely gingerbread note. But, it's definitely not my fave SS scent. I was pretty sure that I would like Dark Ginger Spicecake, since I quite like Jack and the Devil, but I wasn't expecting to like it so much. I slathered the ganache on this morning and can still smell it now. No perfume needed! It's the perfect leave-on foody scent for me: spicy and sweet without being cloying at all. Vetiver and I usually get along very well, so I'm pleased that my theory on that has been further vindicated. I like foodies that aren't overly sweet and this fits the bill. Surprisingly, it's not overly dark on me either. Just cozy and delicious. A foodie scent I've really grown to like! When you read the scent notes, you'll immediately think this scent will be extremely foodie, but it's not. The addition of the musk and patchouli really darken this blend and make it much less sweet than it would be without them. A great blend for cooler weather! I just wish the name would have stayed as Gingerdead Man. It seemed to fit the scent much better! Test 1. My first thoughts are - Dark, rich and it tickles my nose with pleasure. There is certainly warmth from from the ginger and spice notes, but there is also an unexpected darkness or grounding from what smells like a very rooty vetiver which pulls in the opposite direction. While part of me wants to say 'pulls up and pulls down' for the different directions, it is not quite true as the ginger note used is more akin to dried ginger rather than the sharp sparkling heat of fresh ginger. To me, dried ginger already has a rooty, earthy, sweet quality to it (which is why it is such a good partner to sugar as an ingredient in baking), so I guess both the vetiver and patchouli function to extend the dried ginger notes rather than compete with them. After about 15 minutes the fragrance settles down to a very respectable level and provides an interesting background scent. Test 2. Stronger application - wet cold night. This opened very nicely and I think complimented the weather and the time very well. My partner tried this one as well and absolutely loves it! The opening feels darker and spicier, though not warmer - just thicker. This is a welcoming, enveloping darkness and I embrace it. I am struck by how confident your hand is in this fragrance. 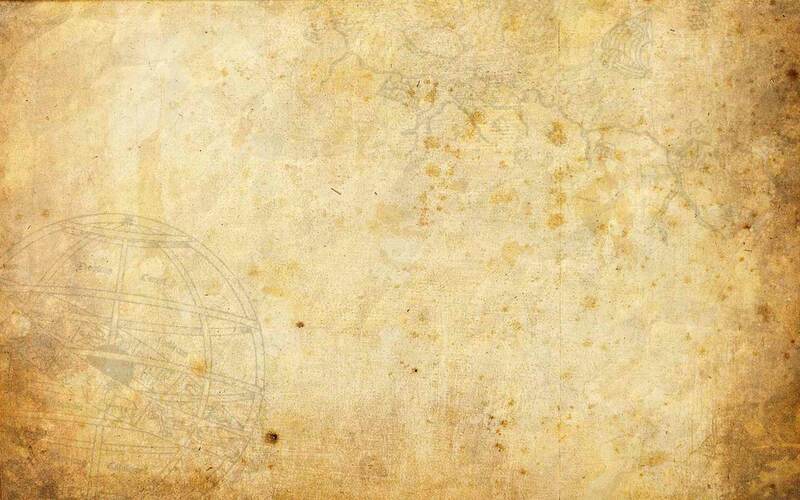 Test 3. I am wearing Dark Ginger Spicecake on one hand and Gingerbread and Vanilla Cream on the other. There is very yin and yan quality when doing so. In the opening of both fragrances, the Dark Ginger reigns supreme being much stronger/heavier and confident and this continues for many minutes. I normally don't like comparing fragrances as I believe that they each need to be judged on their own merits, but this was just too tempting not to do it. As the two fragrances do battle, the strength of Dark Ginger initially is my favourite, however by the time they get to the drydown, I find I am drawn to the Gingerbread more - challenge versus comfort, autumn versus winter, day versus night. I don't think I will do a direct comparison again between the two but rather simply enjoy them for what they each offer. This is another of the foody/gourmand blends that don't make me turn up my nose. Dark Ginger Spicecake. This is literally, word for word, what I smell when I wear this. This is not a pretty, sugary sweet gingerbread perfume. It smells quite realisitc to actual spicecake, but there are of course darker threads that weave through this blend. The gingerbread is the dominant smell, and it’s incredibly warm and comforting. This perfume oil, on me, tends to smell more or less the same throughout the whole time it’s on my skin. Of course it settles and becomes more delicate later on down the track, but it doesn’t morph much, and I like that about this perfume. This is gingerbread with some sass. It's foody but not mainly foody, the patchouli stood out most to me, with a bit of ginger in the background. It almost seemed oriental to me at first, I admit I was surprised by how spicy it was, even though it says so in the description. Not unpleasantly surprised though. This scent is great for people who like foody smells but not your run of the mill sugary food smell, people who want to stand out a little. Someone on their blog said that this is like a gingersnap that was dropped in the dirt. That's totally why I bought it. And it is! It's the basic ginger cookie fragrance with a bit of depth and earthiness from the patchouli. I love bakery and I love earthy, so it's perfect for me. I have the ganache, and I think it's the perfect vehicle for this fragrance.